Are you embarrassed by your crooked teeth? Or have gaps that you wish would go away? Ever wonder how orthodontics can help you have a straighter smile? We can provide you with answers to these and many other orthodontic related questions. We’re here to help make your or your child’s smile healthy and beautiful. We offer several solutions for your orthodontic needs. High Speed Braces – Speedy Smiles treatment can correct crooked teeth and are especially effective in aligning your smile teeth, which are the 6-8 teeth people see when you smile. 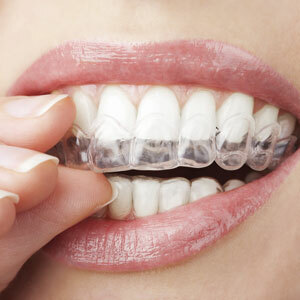 Invisalign – Ready to renew your smile? This modern-day orthodontic treatment helps align your teeth without harsh metal braces. Preventive Orthodontics – Preventive orthodontics provides dental professionals with a way to identify and intercept teeth problems in children, that when caught early enough, help to avoid more aggressive and costlier treatment later on. The better question here might very well be, “What will happen if I don’t address my orthodontic issues?”. Because it’s not always about the expense, right? Sometimes it’s more about the self-esteem that comes from having teeth others admire. Sometimes it’s about the names children call other children. And sometimes, things left undone turn into bigger and more expensive problems later on down the road. It is easier than ever to afford necessary orthodontics that provide you or your child with the benefits of a healthier mouth, teeth that are more likely to last a long time, and that all important winning smile! For further information, please give ConfiDental Health + Dental Clinic a call. We’re can provide you with the information you need to make informed decisions about any dental condition and we’re always happy to serve you.